I've known about the sign at Piedmont Lumber for a long time, but I'm usually more focused on buying materials than looking at the sign. 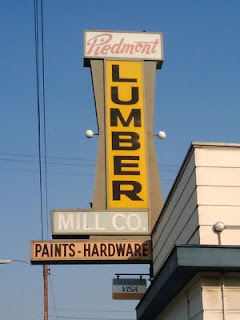 It's not neon, but it has some classic elements (the pinched waist and the pointless dots), and Piedmont Lumber has been around a long time, since 1934. I love all these old typically California signs. There was a great one on the Halls of Norway but they seem to have painted over it this week. After all this time too. Wonder why. 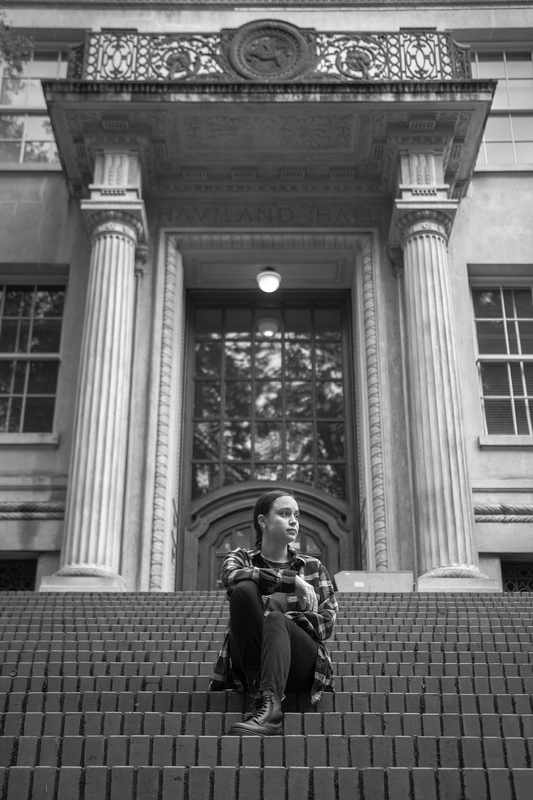 The Sons of Norway hall on MacArthur? That's too bad. But maybe it means someone is going to move in there. That'd be nice to see another business move in. Yes, that one. It is all painted now but if you go by there, can you see if you see the sign. I'm a bit vision impaired. I stopped by today on my way back from Habitat, and it looks like the whole exterior has been painted. It peeked in an open door, and it looked like it was set up for a wedding reception. No signs except "hall for rent", so maybe that's what it's being used for.